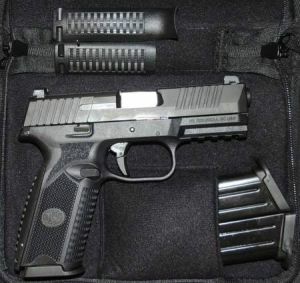 FNH, S&W, REMINGTON, HK LAW ENFORCEMENT-MILITARY WEAPONRY. CIVILIAN COMMERCIAL SALES. GUNSMITHING & WEAPONS MANUFACTURING. TO BE NOTIFIED OF ITEM COMING BACK INTO STOCK GO TO BOTTOM OF LISTING AND FILL IN THE"SUBSCRIBE TO BACK IN STOCK". 1. CREDIT CARDS. 2. BANK TRANSFERS AND CHECKS CAN BE SELECTED. 3. PAYPAL CAN BE SELECTED BUT ONLY ON PAYPAL APPROVED ITEMS, NO GUNS OR HIGH CAPACITY MAGS ETC. GRIPS, STOCKS AND TOOL KITS ETC ARE OK.
HDD offers LE agencies a firearm buy back program, as well as a trade-out program, to help accommodate agencies in procuring the most updated firearms available for service. 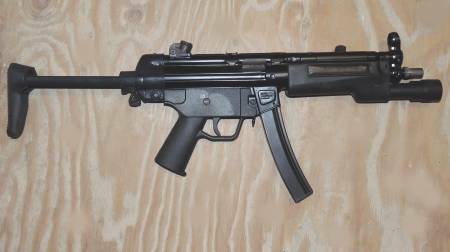 We offer very competitive pricing for confiscated and surplus firearms. 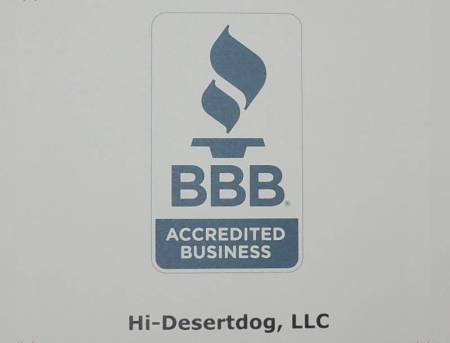 Trade-in values are given as direct payouts or as an HDD credit. We can provide your department with the latest combat weaponry and custom builds available. From compact pistols to select fire carbines with grenade launchers to belt fed machine guns, we can supply your needs and most of these are in stock for LE Demo. Try before you buy. 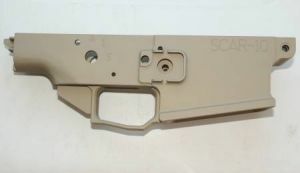 SOAR, SPEC OPS ALUMINUM RECEIVERS, 5.56 CONV. 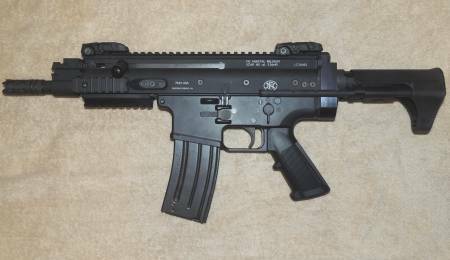 & 7.62 P-MAG TYPE, SCAR 17s. 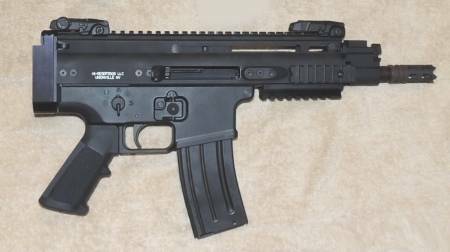 PREVIOUSLY KNOWN AS THE SCAR-10 LOWERS. 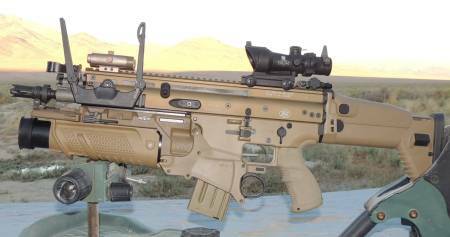 SOACH, SPEC OPS ANGLED CHARGING HANDLE, FOR THE SCAR PLATFORM. 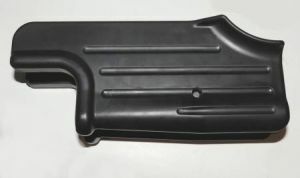 SINGLE OR DUO HANDLES. 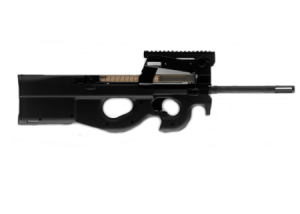 SASR, SEMI AUTO SNIPER RIFLE, CUSTOM HEAVY BARREL TACTICAL SNIPER RIFLES WITH ADJUSTABLE SNIPER STOCKS, HDD HEAVY 20" BARREL MADE FROM A HIGH QUALITY SHILEN® BLANK. 3 POSITION SIGHTLESS GAS BLOCK & MIDWEST SSR EXTENSION RAIL. 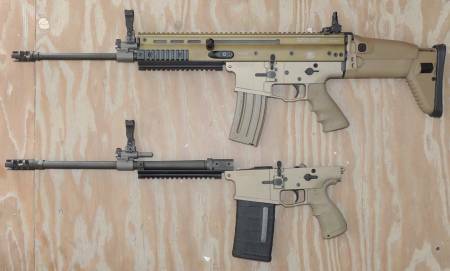 SRMC, SINGLE RECEIVER MULTI CALIBER, COMBO CARBINES. 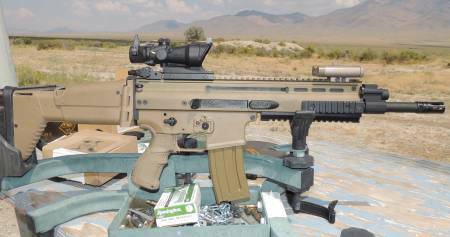 SCAR 17S WITH 762 & 556 CALIBERS IN ONE GUN. YOU CAN ALSO HAVE 300BLK & 762, 6.8SPCII & 762, 762X39 & 762 ETC. 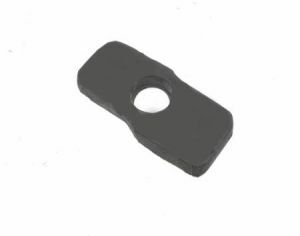 HDD PICATINNY RAIL FOR REPLACING THE SCAR FRONT SIGHT. HDD CONVERSION KITS TO CONVERT THE SCAR 16S AND SCAR 17S TO OTHER CALIBERS SUCH AS, 300BLK, 7.62X39, 6.8SPCII, 6.5 GRENDEL, 6.5 CREEDMORE, 338 FEDERAL, 260REM, 243W. SOON THE 9MM LUGER SUBGUN AND 22LR CONVERSIONS WILL BE AVAILABLE. 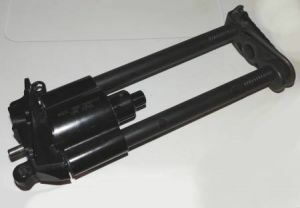 HDD 37MM, (HDD37GL), LAUNCHER FOR THE SCAR PLATFORM. 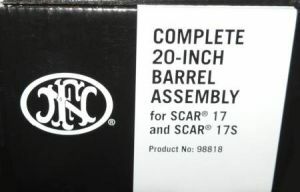 SCAR 17S HDD SRMC COMBO, 762 & 556 CARBINE, SEMI AUTO ONLY OR SELECT FIRE KITS AVAILABLE . 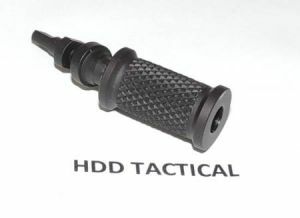 HDD PDW, 6.75" BBL, SELECT FIRE MG OR SEMI AUTO SBR. 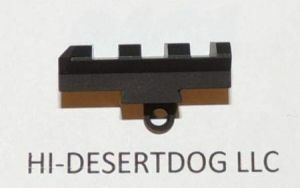 M249 MG PARTS KIT FOR O7-SOT TO BUILD A POSTIE. 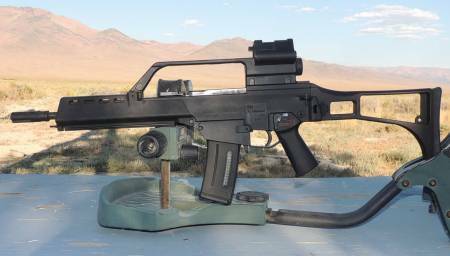 HK G36 K MACHINE GUN, AVAILABLE FOR LE DEMO, IN STOCK. 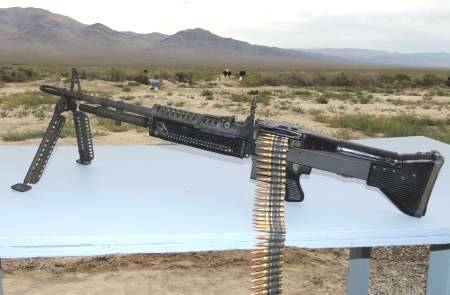 HDD M60 MACHINE GUN, IN STOCK AND AVAILABLE FOR LE DEMO. 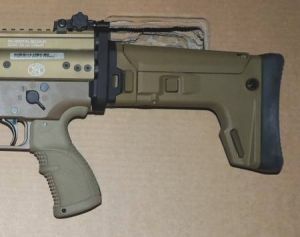 MP5A3 SBR, SEMI AUTO 9MM, CIVILIAN LEGAL. 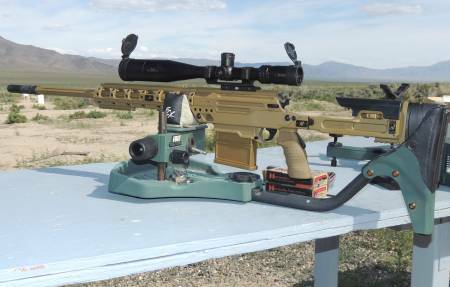 FN BALLISTA 338 LAPUA ON HDD RANGE FOR TESTING AT 1000 METERS. 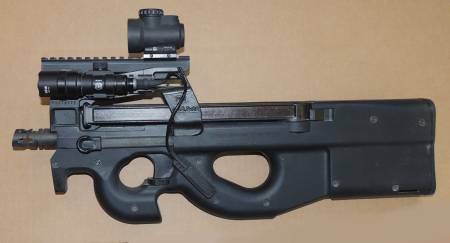 M249S PARA BARREL ASSEMBLY, 16" OAL.